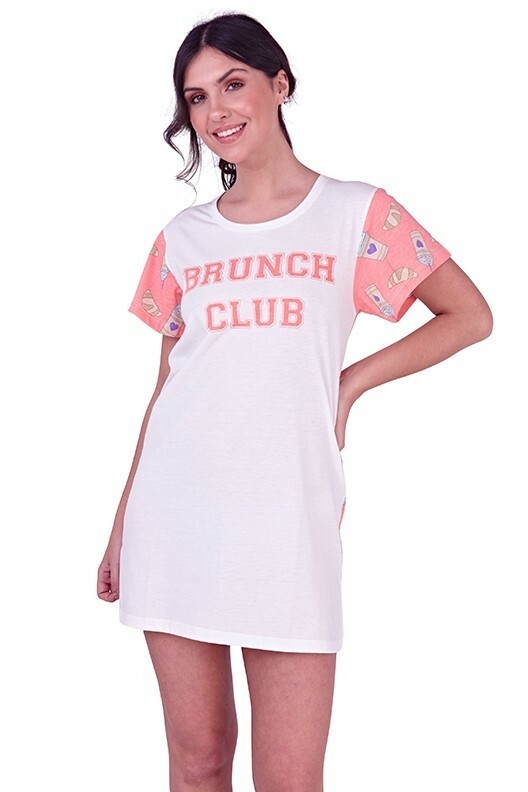 Brunch Club Slogan Nightshirt. Super simple and can be worn all year round. With a contrasting back design. Model wears small - 5.6", size 6-8. Comes in packs of 12.